and they’re all totally free with every domain registration. If you built your site on a platform like SquareSpace or Wix, we make it easy to connect your domain to your site with just a few clicks. 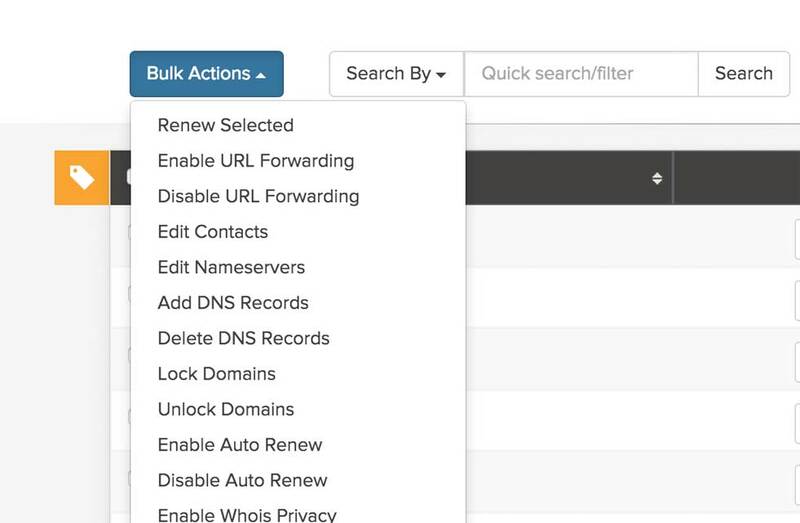 Rather than updating your domain information one-by-one, you can make mass changes and use our tagging feature to keep your domains organized. 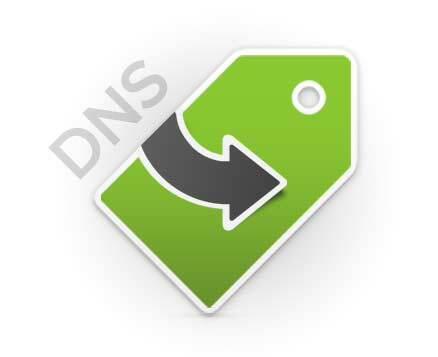 There’s a lot that goes into managing domains and websites. Our customer support team is always here to help. 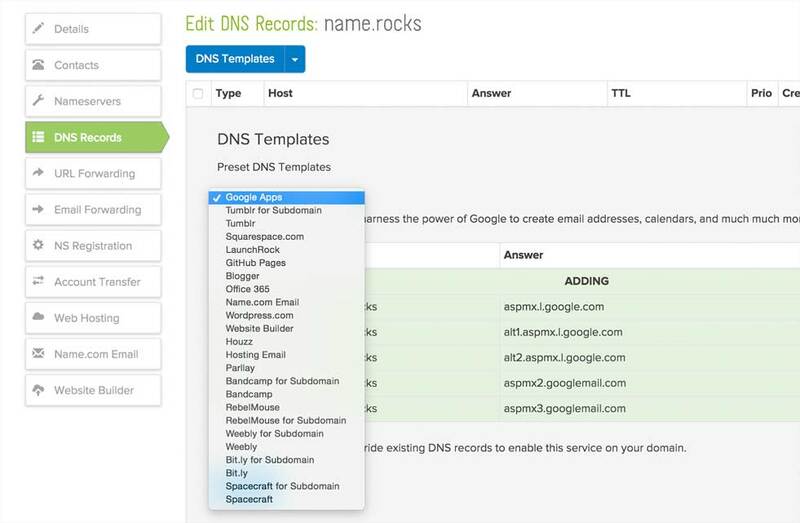 Start managing your DNS now!